Buenos Aires skyline overshadowing the gardens. 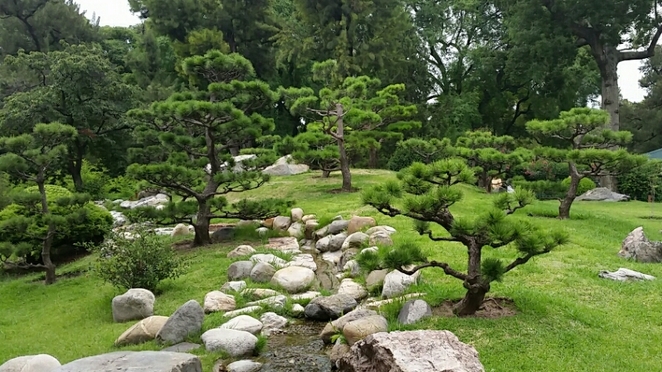 Buenos Aires boasts one of the largest and most picturesque Japanese gardens of its type located outside of Japan. It is a haven of tranquillity in the bustling Argentine capital and offers a selection of cultural exchange activities, a gift shop, a greenhouse with an impressive collection of Bonsai, and a restaurant offering the finest of Japanese cuisine. 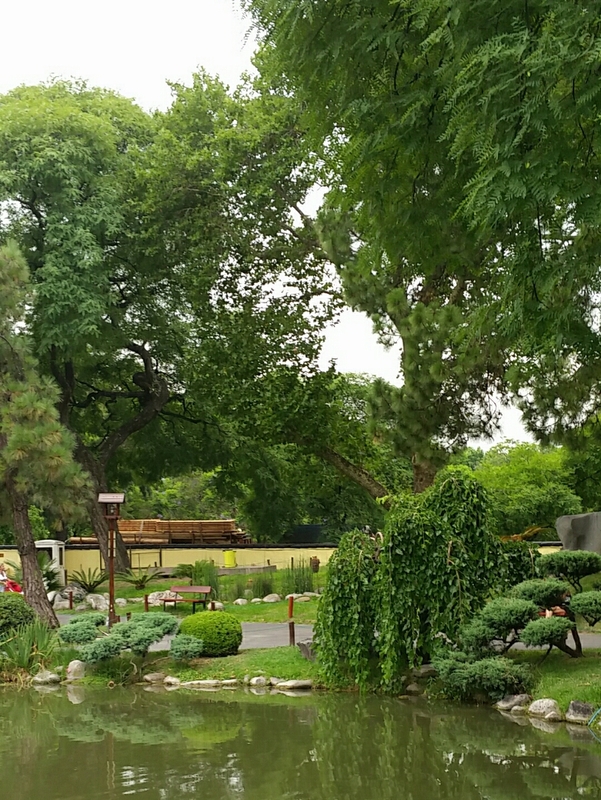 Escape the city rush in the shade of the Japanese Gardens. The imaculatly manicured garden spans two hectares and is located on the north-east corner of the Parque Tres de Febrero. A central lake dominates the garden space and a 'Divine Bridge' arches above its waters. Water features and bridges are strategically placed through out the gardens, which host a large selection of Japanese plants and a liberal scattering of local fora. Large fish waiting to be fed. 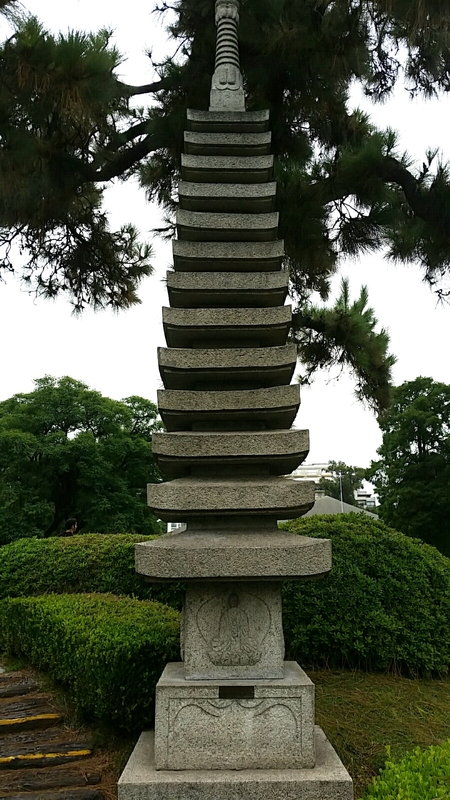 As one wanders the gardens granite sculptures and traditional stone lamps capture attention. 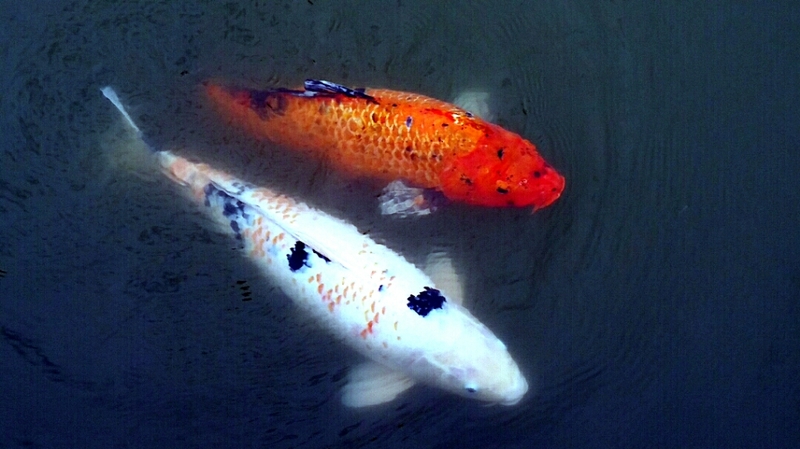 Large colourful carp cruise the lake's waters and park goers can be seen feeding the fish. In the centre of the lake an island offers expensive views of the rest of the gardens. A wandering watercourse and immaculate Japanese gardening. 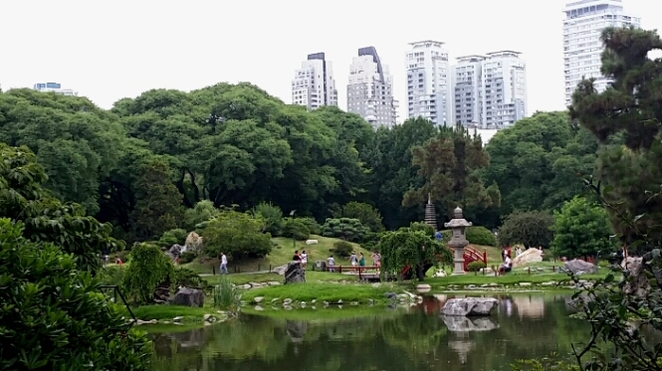 The gardens were completed in 1967 and are administered by the Japanese Argentine Cultural Foundation. The former Japanese crown prince, Akihito, and princess, Michiko, inaugurated the gardens during a state visit and it was donated to the City of Buenos Aires as an emblem of the relations between Japan and Argentina. Over the years the gardens have hosted no few members of the royal family during diplomatic visits. One of the granite statues located throughout the park. The gardens quote a social responsibility to the Argentine people and offer free entry to children younger than 12 years and pensioners over 65. The gardens have a free open day once a week for Argentine residents (including one Saturday of the month). Why? Take a break from the city hustle.